If you were to distill all of the seemingly countless sources of ‘news’ ‘facts’ and information and trace them back to their true source, the result of that query would be rather sobering. The great secret is that over 90 percent of all consumed media content originates from only 6 corporations. Everything you hear, read,or watch fits into this web. 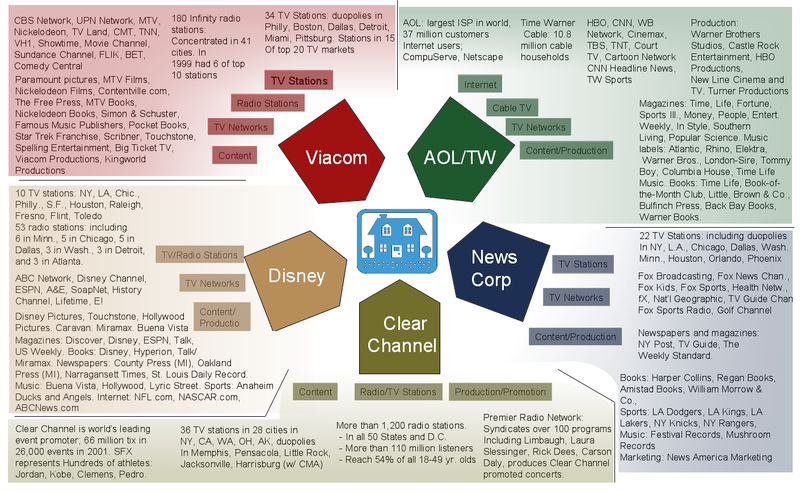 Think General Electric, News-Corp, Disney, Viacom, Time Warner, and CBS. A CIA initiative called OperationMockingbird was designed to gain further control over mainstream media andsince this development, more individuals are speaking out and gaining awarenessregarding the blatant brainwashing occurring through mainstream media outlets. Ifyou do a quick mental survey of recent information served through Television(which Tells Lies to Your Vision), andother advertising platforms, aspects of mainstream culture ranging from health,food, war (aka TERRORISM), poverty, and other topics are butchered and servedup simply as messengers of corporate interest. Products, Prescriptions, andPropoganda- that’s what it’s all about here. In recent years many celebrities havespoken out about corrupt information including Roseanne Barr who stated that MKUltra rules Hollywood. Mk Ultra was apparently (and some still remains) aprogram endorsed and created by the CIA to implement mind control practices throughentertainment and to take widespread opportunities to experiment on the humanpopulation. You can check out thesesources: (source)(source). To a non-discerningconsumer, the information and advertisements being fed through these outletsare designed to shape our thoughts and emotions in such a way that we becomethe perfect consumer. Through habitualuse of these mind-altering entertainment mediums, the masses tend to becomeshaped into less powerful representations of who we truly are. Since the descent of consciousness manygenerations back in the ancient and elevated civilizations of our ancestors,humans have gone from widely being superconscious co-creators full of light tobeing consumers. It is time for humansto rise to the state of conscious empowerment once again. Taking back our minds, our thoughts, and thefeelings that arise is the first big step. This is a primary central space of our creative power.